What a weekend that was! Started early on Good Friday, with Graham and Kim stewarding, lots of members arriving ready for the 12:00 opening and BBQs being lit in record time. By late Friday, the field was looking pretty full with kids’ laughter ringing out across the site (38 of them I’m reliably informed). Saturday arrives and Katie, Gill and helpers ran a fantastic Easter Crafts session in the village hall and I believe there was a moment when it looked liked stocks were running low… with so many kids joining in! Amazing. Saturday night and we moved back into the hall where an excellent 3 piece band entertained us through the night with some epic music. No backing tracks here! Sunday morning, coffee, Easter Bonnet competitions with kids and ladies really throwing their all in. The men’s competition was equally hard fought with Mark taking first place with his incredibly original (never been seen before), Easter tie. A worthy winner. The kids then piled out into the field where Jane, Paul & Lucy had hidden over 1,000 chocolate eggs (or was it 130?). Kids running around the site with buckets, searching out the eggs, some with special tickets meaning “prizes”. Chocolate heaven. Sunday evening and the hall was full again, with kids games and more than one game of Irish Bingo. Fun was had by all. Monday morning, the sun was out again and the meet slowly starts to pack up. Cheery goodbyes are said with plans to meet up again soon. 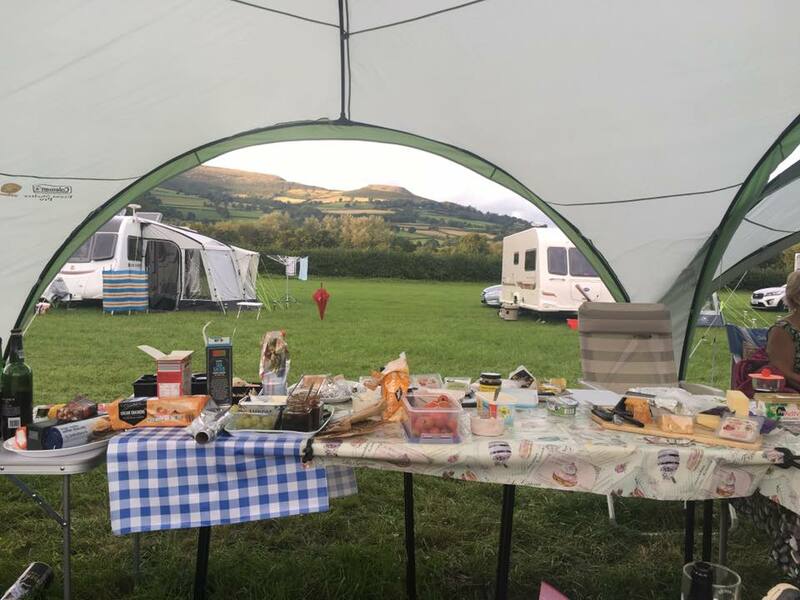 Easter Weekend April 2019 at Gentleshaw. Sun, fun, BBQs and games with a lot of chocolate thrown in for good measure! After much effort and failing to find a good digital version of the DA logo, I’ve had it recreated. We now have a version that can be printed on clothing etc. Happy days! Hi DA members. I’m after any good photos you have of any of the regular sites we use for future use on the web site. 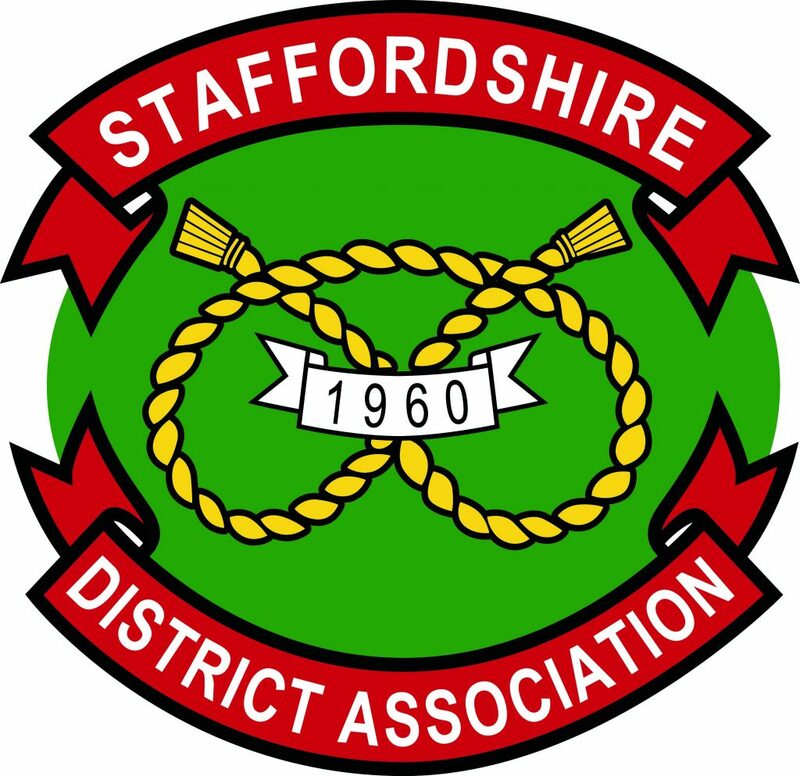 You can email them to info@staffordshireda.co.uk . Thanks. The 2019 AGM was held at Rugeley Cricket Club on Saturday 23rd March. Attendance was high and a new committee was elected, mostly made of up the current wonderful bunch of volunteers and a few new ones.